Especially in oral and maxillofacial surgery, where procedures involving the aero-digestive tract considered clean contaminated, surgical site infections (SSI) represent a severe health care burden. To improve implementation and methodological standard, an upgrade of the existing S1 guideline to a consensus-guided S3 guideline was initiated by the Association of the Scientific Medical Societies in Germany (Arbeitsgemeinschaft der Wissenschaftlichen Medizinischen Fachgesellschaften e.V., AWMF, register number 067/009) and 25 collaborating medical societies. A systematic literature search based on the Scottish Intercollegiate GL Network (SIGN)-search string for the guideline “Antibiotic prophylaxis in surgery” from 2014 was performed and equivalent exclusion/inclusion criteria were applied. An additional hand search provided latest evidence. In total, 80 clinical trials, retrospective studies, reviews, and meta-analysis were analyzed. For orthognathic surgery, prolonged antibiotic regimen may reduce risk for SSI but there is lack of evidence for the effects of short- vs. long-term therapy. For maxillofacial traumatology, antibiotic prophylaxis might reduce SSI but prolonged postoperative dosing shows no benefit. 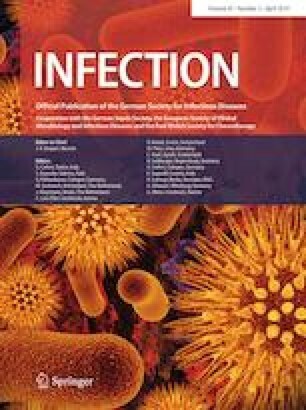 For clean-contaminated oncological interventions, anti-infectious therapy for 24 h only can reduce SSI; patients may not benefit from prolonged regimen. In contrast, for dentoalveolar procedures such as implantology or third molar removal, literature reveals ambivalent results. In summary, consensus process of the planned S3 guideline is much in need to transfer the indecisive results for antibiotic prophylaxis in dentoalveolar surgery in clinical praxis and encourage adherence to guidelines. The authors like to give special thanks to Mr. Wellbe Bartsma for his extensively language edition. This work was supported by the Association of the Scientific Medical Societies in Germany (Arbeitsgemeinschaft der Wissenschaftlichen Medizinischen Fachgesellschaften e.V., AWMF).